I have to say that it still shocks me to discover insurance companies that continue to use manual processes to manage their data – particularly the spreadsheet. Whether it’s processing claims or marketing insurance products and services, this hazardous practice continues to permeate the insurance industry. 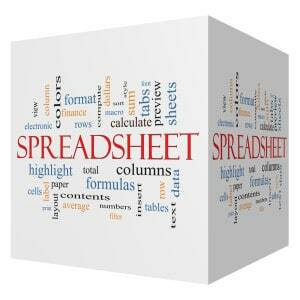 So with the ease of development and deployment of automated technology, why are so many companies still using spreadsheets to manage their data? No consistency in data management. A spreadsheet is a manual process, making it difficult to ensure that the same data standard is enforced throughout the company. Automating systems can inventory all critical spreadsheet information across your company’s data sources, including file shares and document repositories, ensuring consistency. When insurance companies experience growth and produce more data, three things typically happen. Either they hire additional staff, pile more onto the people who are already overloaded with work, or turn away business. Automated technology can easily scale as your insurance business grows – without adding additional staff. While a spreadsheet can help visually organize data, it shouldn’t be used as a system of record. With multiple users able to modify data, a single error can affect an entire account due to no system controls. Insurance companies need applications that leave an automated audit trail of specific changes made and who initiated them. There’s no doubt that technology today in the insurance and financial industry should be replacing manually driven processes that include the spreadsheet. With the multitude of scalable systems that have emerged just within the past five years, insurers have a variety of affordable solutions available to them to bring about change and improve operations.